What is the Integrated Service Center (ISC)? On June 27, 2017, the University of Washington replaced our 35-year old, decentralized legacy payroll system and many of its shadow systems with Workday, a modern, integrated, cloud-based software designed to standardize human resources and payroll processes. The launch of Workday, at the time the largest administrative effort in the University’s history, impacted over 45,000 employees working across three campuses, the Medical Centers and off-site facilities. To facilitate the transition to Workday, the Integrated Service Center (ISC) opened their doors to provide Workday transactional support for faculty, staff, and students. The ISC comprises several teams ranging from generalists to specialists, with the common goal of providing enhanced customer support and optimizing Workday operations. The ISC is supported by many collaborative partners, including UW-HR, UW-IT, Academic Personnel and other central business units, and we work closely with those partners, as well as with campus leadership, departments, and administrators, to improve human resource and payroll processes, reduce duplicated efforts and increase efficiency, provide better data for decision making, and strengthen security and compliance. With Workday, it’s easier than ever for employees themselves to access, update and monitor their own payroll and benefits information, and employees will continue to work closely with their departments for many Workday tasks. Most transactions will continue to be entered, reviewed, approved and managed by departments and their HR and payroll representatives – including job hires, salaries and compensation, leave of absence, end dates and more. But when more complex transactional issues occur during the payroll or benefits process, the ISC is here to support employees, administrators and departments to solve Workday problems and optimize Workday processes. Visit our list of ISC Services to get a better understanding of the various services we provide. Fun fact: There are currently 62 total employees at the ISC. There are over 45,000 employees at the University of Washington who receive a paycheck every two weeks. That’s approximately 725 UW employees per each ISC staff member! Workday is the new, cloud-based software program the University of Washington uses to centralize and standardize human resources and payroll processes across three campuses, the Medical Centers and other off-site facilities. Workday is a proven cloud-based enterprise resource planning (ERP) software solution for human resource and financial management, utilized by multiple industries and agencies including financial services, healthcare, energy, government, non-profit, hospitality, K-12 education, and higher education, and has been successfully deployed at other universities such as Arizona State University, Cornell, Louisiana State University, Ohio State University, the University of Pennsylvania, Yale and many more. Workday releases platform improvements and feature upgrades designed to increase functionality and enhance the user experience twice a year, in September and March. These releases ensure UW stays up-to-date with technology changes, regulatory requirements, and our ever-expanding information needs. Visit the Workday HR/P Cost Distribution for Organizational Units page for information on how the University of Washington distributes the costs of implementing Workday. Additionally, the ISC provides several in-person training sessions for administrators. Calendars of upcoming events and registration information can be found on the ISC’s Workday Training page. The Integrated Services Center (ISC) has several talented and hard-working teams ready to step in, assist and support faculty, staff and administrators with Workday transactions. The Customer Support Representatives (also sometimes referred to as Tier 1) provide support for all payroll, benefits and compensation issues that come into the ISC via contact forms, emails, phone calls or walk-ins. Our Customer Support Representatives have broad-knowledge about many common issues that impact employees. (Workday Administrators, please note: you should first be working with your Named Support Contacts before contacting the ISC Customer Support Representatives.) The Tier 1s are the first point of contact for the majority of inquiries that come into the ISC. The team triages each inquiry, collects any additional information needed, and analyzes issues in order to either resolve the issue or, if they don’t have the answer, route tickets to the proper support team. The HCM Service Partner team (also sometimes referred to as Tier 2) primarily works with departments and units to provide transactional support for organizations’ administrative activities in Workday, such as position events, hires, job changes, compensation changes, one-time payments, period activity pay and more. Working with the Named Support Contacts, the HCM Service Partners will be aligned with organizations within the UW in order to build effective partnerships, consult on Workday processes and transactions, and provide tailored support to meet the unique needs of our diverse campus. Medical Centers Staff work with the WMS Team for HCM type transactions. Ensuring that every UW employee receives an accurate paycheck on time is the ISC’s top priority. The ISC Payroll Team processes around 45,000 paychecks each pay period! When issues surrounding payroll transactions are noticed, employees or departments – in partnership with Named Support Contacts and/or the ISC – investigate the underlying issue; when the problem has been successfully resolved, and if requested, the ISC Payroll Team can complete an off-cycle payment. In addition, the ISC Payroll Team works behind the scenes to handle all deductions, withholdings, and payroll accounting at the University. Medical Centers Staff work with the Medical Centers Payroll Services Team for questions regarding time worked, absence and paycheck issues related to Kronos. The ISC Benefits Team handles transactions surrounding new enrollments and changes to health, wellness and retirement benefits. Tier 1 Customer Support Representatives collect as much information as possible from employees who have questions or have encountered challenges with benefits, and can resolve transactional issues in Workday regularly. However, more complex benefits issues may be escalated to the ISC Benefits Team. The ISC Benefits Team handles a large volume of benefit transactions, via Workday and paper forms. They work closely with vendors, review reports and perform complex analyses on a daily basis to ensure eligibility and that employees are enrolled properly. 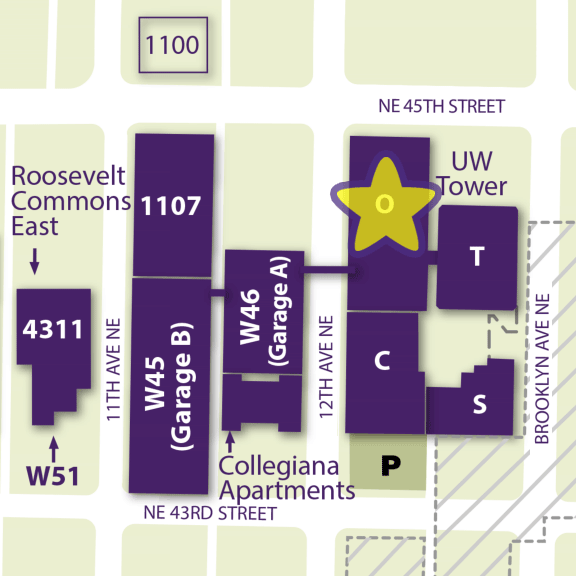 The ISC Service Support Team provides a variety of Workday training to the UW community, ranging from short web-based videos all the way up to full-day instructor-led classes. This team is tasked with providing and regularly updating all Workday how-to documentation, including User Guides, Quick Guides and other resources for employees and administrators, as well as the ISC itself. For individuals who currently possess or require security access in Workday, a list of upcoming classes can be found on the Workday Training web page. The ISC Service Support Team is also currently preparing for launch of enhanced, next-level Workday training for employees who provide units or departments with HR and payroll support. The Application Management Team (also sometimes referred to as Tier 3) is responsible for providing advanced Workday application management, including Workday configurations, security administration, integration administration, report development and maintenance, and support of regular Workday updates. Complex transactional issues in Workday may be escalated to this team for investigation and resolution. You can reach the Executive Director of the ISC by emailing ExecDirISC@uw.edu.